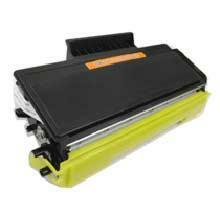 Compatible Brother TN650 High Yield Toner Cartridge. Manufactured with new and recycled components under stringent quality standards to ensure optimal performance and compatibility in your printer. Prints approximately 8,000 pages based on 5% coverage of page.